A crown is a restoration procedure that covers an existing tooth to preserve the functionality of a damaged tooth and restore it to its normal shape and size. A crown may be used to protect a weak tooth from fracturing, support a large filling when there is little tooth structure remaining, or used to create the support for a bridge. A tooth that has been treated with root canal therapy will require a crown to provide strength and support to the tooth. Friendly Dental of Somerset uses crown materials that will provide the longest lasting benefits for you, our patients. Crowns, what are the Benefits? Before crowns, the only real option for a broken down tooth was extraction. Crowns have given dentists, and in turn patients, the ability to fix certain dental situations. Cavities, or dental decay, occurs when acid-forming bacteria in the mouth are supplied with sugars. With these sugars as their food, the bacteria produce acid that eats away at the tooth, creating cavities. Usually, cavities can be drilled out and filled with tooth-colored composite (or silver amalgam) fillings. However once too much tooth structure is lost, fillings will no longer suffice and the tooth will need to either be extracted or crowned. In addition to cavities, age, wear, and fracture are other reasons a tooth may require a crown. With age, teeth tend to turn yellow, wear down, chip, and become less attractive. In addition, teeth can fracture from over-use or by accident. In these situations as well, crowns are a great way to restore function, esthetics, and beauty to a smile. Modern dentistry has a lot to offer to improve person’s smile and general dental health. Dental crowns make up essential part of restorative dentistry, which at the same time provide wonderful esthetic results. When it comes to crowns – full porcelain crowns are considered to be the most beautiful crowns the teeth can get. Dental porcelain provides necessary strength and closely replicates the look of natural tooth. Porcelain is also the only crown which provides translucent look to the tooth. The major drawback of the porcelain crowns used for front teeth is that their placement process can be quite challenging and requires expertise, but for our skilled and experienced doctors at Friendly Dental of Somerset that’s not an issue. In cases when a tooth is broken or severely damaged by decay, crowns may be used to restore it. Sometimes crowns are also used to hold a dental bridge or cover a dental implant. In some cases crowns may be applied for certain cosmetic modifications or aesthetic purposes. 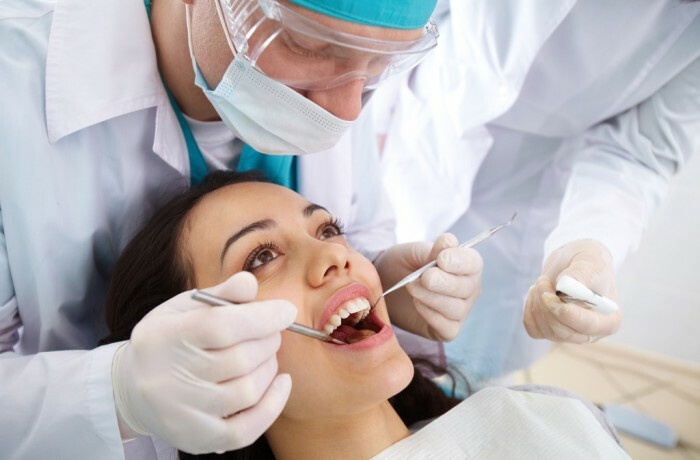 As any other kind of dental treatment, everything starts with the dental examination, during which doctor will check your teeth and prepare them to provide the crowns easy to fit. The teeth will be cleaned and reshaped. With the help of dental putty, an impression of your teeth will be taken and used to construct full porcelain crowns. Meantime temporary crowns will be fitted onto your teeth. During your second visit doctor will remove these temporary crowns and fit the permanent ones. The great advantage of porcelain crowns is that they can not only copy the original tooth in function, but can be designed to look like the original or even better. Porcelain crowns are transparent and aesthetically appealing. They don’t cause any allergic reactions and are great for patients who have reduced space inside the mouth and want those natural looking teeth. Crowns are a great way to make broken down, decayed teeth look like new again. You can expect crowns to last for many years to keep your smile healthy, functional, and beautiful!